Thorough, efficient and safe — Gold Coast pest control solutions for the home, office or commercial business. Thorough, efficient and safe—that’s the Selectapest motto. The most effective pest control solutions, with the least amount of hassle, delivered by experienced technicians. As locals, we understand the specific requirements for pest control in the Gold Coast climate. We utilise monitoring systems as well as safe, proven and proactive techniques to prevent pest problems from taking hold. We are one of only a handful of Gold Coast pest control specialists who utilise a termite baiting system that rids your property of termites for good. And if unwanted cockroaches, ants, termites, spiders, fleas and rodents are invading your property, we know their movement and nest habits—and exactly how to move them along. 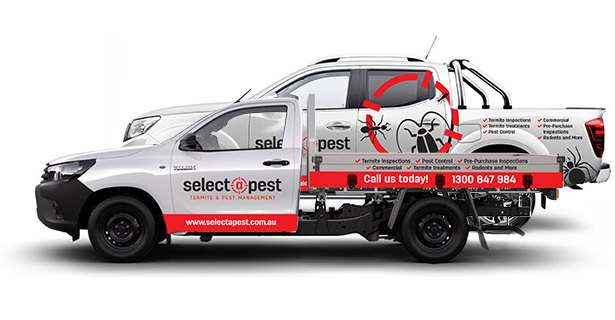 As a trusted and long-established name in the pest control Gold Coast business, you can rest assured that you, your family and your home are in good hands with the Selectapest team. We are the preferred Gold Coast pest control specialists for property managers throughout the Gold Coast and service all the way up to north Brisbane. Termites, ants, cockroaches, fleas, spiders, rodents—we take care of them all so you can relax knowing your Gold Coast home is pest free. From supermarkets and shopping centres to hotels, hospitals, cinemas and schools, our pest control Gold Coast services extend to all commercial businesses. We go above and beyond to find existing issues, providing two separate reports compliant to Australian standards with every pest and building inspection. At selectapest, we put our experience to the test, not your health. Our fully qualified and licenced technicians are trained to put you and your family’s health and safety first each and every time. Whether you’re a homeowner, tenant, property manager or business owner, we take every precaution to protect you and the greater community. Learn more about the pest control products we use here at Selectapest via the links. I cannot rate Selectapest enough, I have been dealing with Select A Pest for the past 5 years and have never had any issues with Matt, Kate, Gemma and any of the other staff. They are very professional and easy to deal with. Highly recommend. Very professional and efficient service. I would highly recommend this company. We came to Selectapest after a less than satisfactory experience with another provider. Over the last 2 years we have been more than satisfied and we rest confident that our property is being well monitored and the feedback that comes through to us reassures us even more. Would highly recommend the thoroughly professional Selectapest team. From Termites to bed bugs, we have you covered, and all with a smile!